We are back on and counting the days to back to school! Here is a little peek at our week visiting with my sister. The cousins got to spend a lot of time together from kite flying, to back to school hair cuts, and there favorite mission trip was to get ice cream! 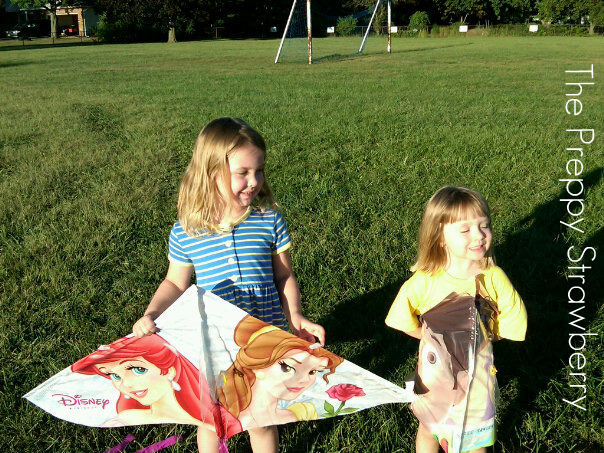 We also bought kites and the girls went kite flying one afternoon - Best activity to convince a 3 and 4 year old they need a nap! They ran non stop trying to keep the kites flying and by the end they were exhausted! Now today, I'm off to an open house at the dance studio to check out fall dance classes for Lilly! 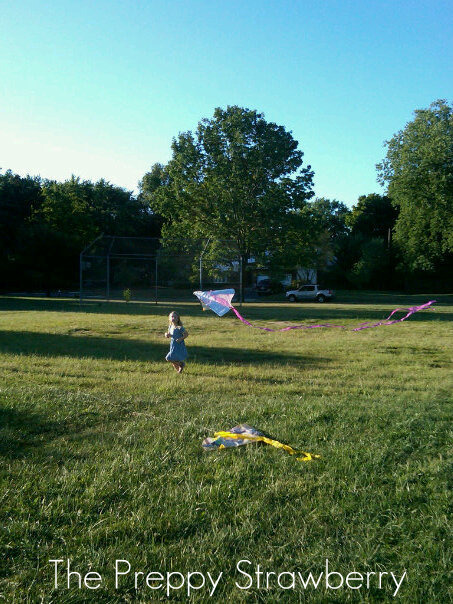 My photo's this week are from my blackberry - what would we do with out cell phone camera's? Especially, when you forget to charge your camera battery!! Don't forget to "like" me on Facebook! ;) Would love some new FB friends ;) You can follow the Preppy Strawberry on facebook right here! What did you do fun this weekend? I went to Oxford for a sorority alum meeting. I got to hang out with one of my good friends and her family for the evening. Welcome home. Looks ilke a fun weekend getting geared up for fall. 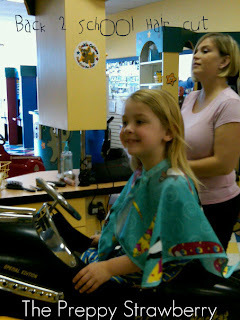 i really wish there were kids hair places like that near us! My daughter just had a haircut too and I'm so glad it grows quickly. 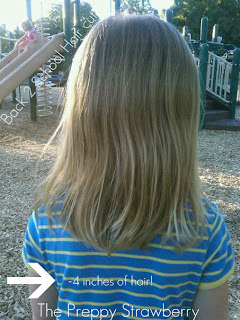 We wanted shoulder length and it is much shorter. Gulp. Thanks for the kind comment regarding little man and the bully. We are keeping our fingers crossed.